This time next week we'll be in full preparation for the fabulous Scottish Baby Baby Show. The show runs from Friday 29th April till Sunday 1st May at the SECC Glasgow and is a great day out. 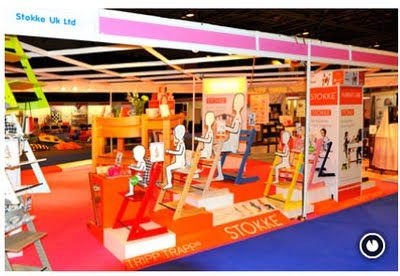 We'll be there with all of our new products and if you stop by our stand to say hi we'll give you one of our highly sought after 'I Love Stokke®' reusable shopping bags. "I'd like to win tickets to the Scottish Baby Show". The winners will be drawn at random on Tuesday 26th April and notified by dm on Facebook.